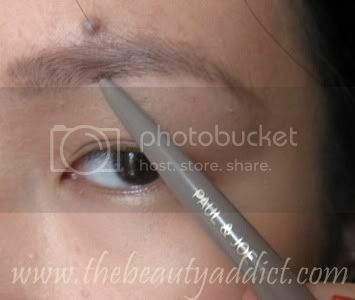 Every make-up aficionado knows that it is important to set the eyebrows to frame one's face. Obtaining a well-groomed, well-shaped and natural eyebrows is one of the best things a girl can have in her beauty arsenal. Mine is very light colored that's why I'm too conscious and never ever leave the house without fixing it. However, I hate tatoo-ish looking eyebrows so I always aim to make it as natural as possible and I'm always in the look-out for the best eyeliner that could give me the result I desire. For almost two years now, I've been using this Paul and Joe eyebrow pencil in 02 almost everyday and I'm almost done with it. 1. 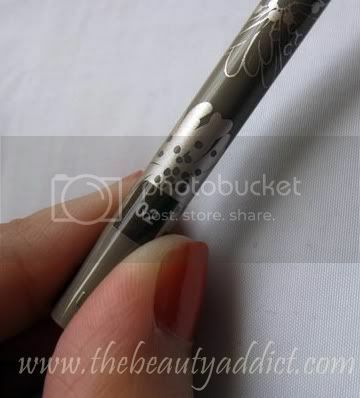 Ultra-fine lead can draw every eyebrow sharply. The ultra-fine lead is made just 1.2 mm allowing for fine adjustment and a perfect finish. Draw the edge of your eyebrows sharply, for a touch of drama with a sense of dimension. Shape any kind of line stably, simply and without the need for any special technique. 2. The pencil provides a smooth and comfortable feeling when drawing onto the skin. Oil that blends well with the skin and a highly cohesive wax are perfectly balanced. Glides on smoothly, easily shaping sharp, three-dimensional eyebrows. Fits well with lasting power for beautiful eyebrows all day. 3. Three natural colours that are super flattering and work beautifully with your skin tone. There are three shade variations to match any hair colour. Change the impression of the eyebrow freely depending on your mood, makeup and style. Use with eyebrow powder to strengthen the overall look. Hold the edge and turn the pencil to right to bring out the lead. Do not exceed 1mm in length. * This pencil is not the cartridge (refill) type. Ensure the ultra-fine lead is kept shorter than 1mm—any longer could risk breakage. Take care not to drop this product from a height to prevent breakage of the lead. It made filling the gaps of my eyebrows very easy. The very thin lead helps you reach the stubborn areas and draw precisely. TIP: To fill in or extend the brow, be sure to use short, quick strokes that follow the natural shape of the eye and hair line. You can also set it with an eyebrow gel to hold the hair in place afterwards. 02 is perfect for my hair color. It looks natural on me. It stays all day. I never retouch with it. Expensive for those on a budget. If you're not careful, it can easily break so make sure to follow instructions. 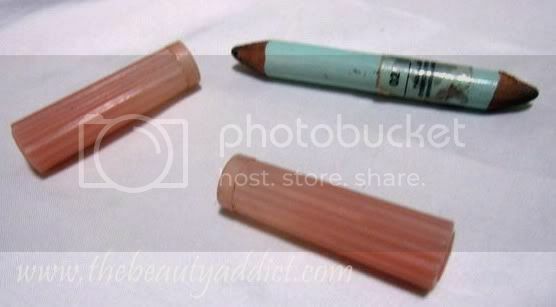 All in all, this is one unique eyebrow pencil. I don't think there's something similar available in the Philippines yet (correct me if I'm wrong). It helps me achieve the look I wanted for my eyebrows and I love how convenient it is to use. Definitely one of the best eyebrow pencils I've tried. 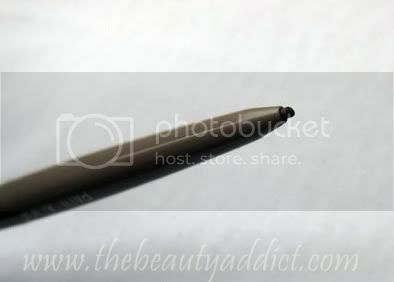 To anyone reading this post, what's your favorite eyebrow pencil? Do you want to receive make-up reviews straight to your email? Disclaimer: This product was sent for review. Everything written about the product are based on the author's honest opinion. Purchase on your own discretion.